Have you been thinking about upgrading your old stereo system recently, to something with wireless capabilities? Maybe you can save some cash as Motorola’s new Moto Stream can upgrade your existing hi-fi system by giving it the ability to play music wirelessly. 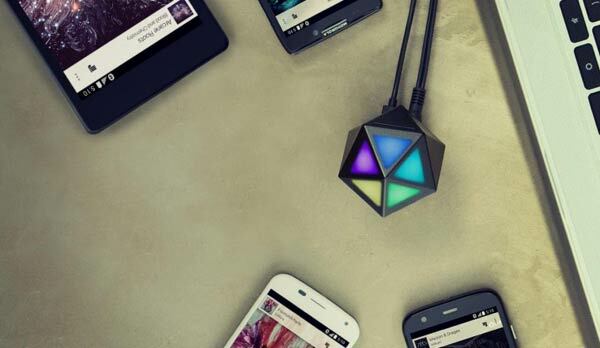 The gadget uses Bluetooth to become a wireless streaming alternative. It plugs into any stereo system or speakers with a standard 3.5mm headphone-style plug and can allow up to five Bluetooth supported devices, whether they are laptops, smartphones or tablets, to connect wirelessly to it at the same time. 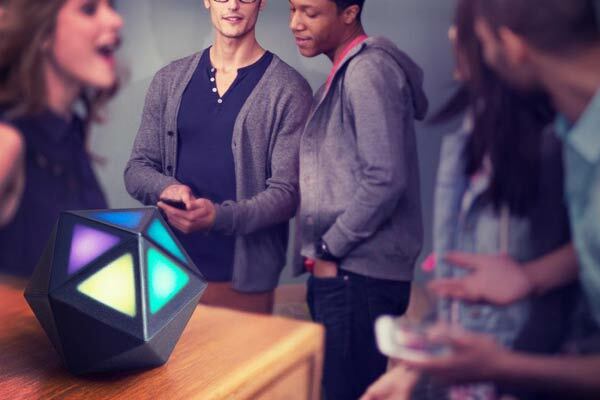 The Moto Stream is a multi-coloured icosahedron measuring at 57 x 60 x 69mm and weighs only 100g. Since it can support multiple devices at once, any DJ can be challenged in ‘heist’ mode, allowing those who they think they can spin better tunes than the current operator to take control with their own playlists. The five faces on the front of the Moto Stream light up to indicate how many devices are connected to it, whilst being an addition to the atmosphere at a party. Since Moto Stream is a Bluetooth accessory, it means that users can utilise the gadget across a variety of platforms, including Spotify, Pandora and YouTube. The roam range of the device is said to go up to 300 feet (approx 91m), whist is plenty for a home setup and it is powered by a micro USB wall charger which is included when you purchase the device. Compatible with mobile devices running Android, iOS or Windows OS, smartphones with NFC can also connect to Moto Stream by tapping against it. The Moto Stream is available now in the US for $49.99, however, it is still unknown as to when the device will be launched globally. We hope it’s soon, as we can’t wait to try it out at a party! Next story Is Samsung planning a foldable tablet for early 2015?